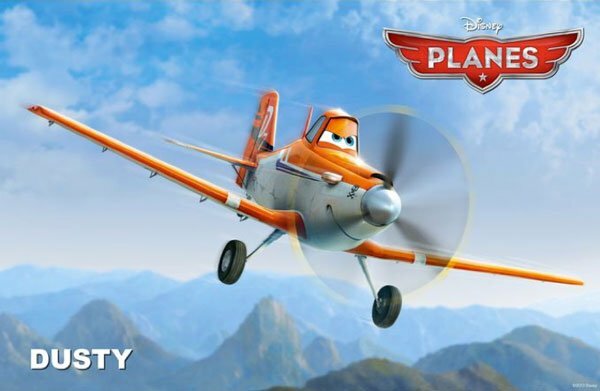 Meet Dusty (voiced by Dane Cook), the cropduster at the center of Disney's upcoming animated adventure Planes. 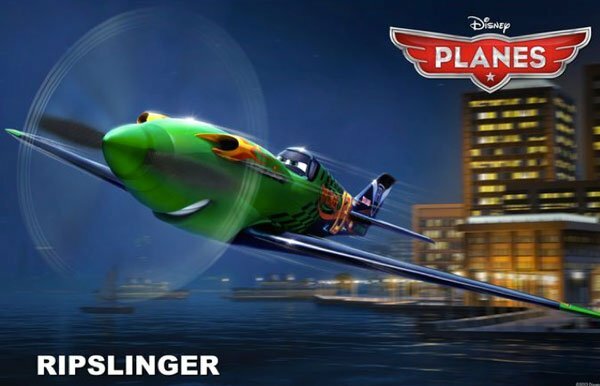 The film follows Dusty's turbulent path from his hometown of Propwash Junction to the Wings Around the Globe rally, where he will battle his own physical constraints and fear of heights to compete for the honor of being named the world's greatest flying machine. Back in in 2011, shortly before Disney debuted the sequel to the Cars, they announced plans for a direct-to-DVD spin-off that would feature the look of the Pixar picture, but center on some high-flying new characters. However, after Cars 2 raked in more than $559 million at the global box office, Disney revised their plan for Planes, bumping it up to a full scale theatrical release that'll include 3D. Gearing up for the film's summer debut, Disney is now rolling out some of this spin-off's cast of characters. You can see all of the released images at USA Today, but we've plucked out some of our favorites below. As a nod to Top Gun, Anthony Edwards and Val Kilmer lend their voices to a pair of F-18 jets named Bravo and Echo. Of course, they'll always be Goose and Iceman to us. Dusty's nemesis is the flashy Ripslinger, voiced by prolific voice actor Roger Craig Smith. He's a winner with a big ego and state-of-the-art tech fueling him to the finish line, not to mention a scathing distaste for the little cropduster who could. 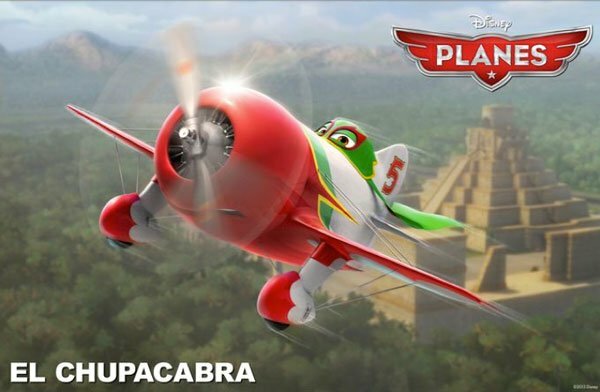 But Dusty has a friend in El Chupacabra (Carlos Alazraqui), a Mexican flyer and soap opera star. For both this is their first major race, and they bond over the shared experience. 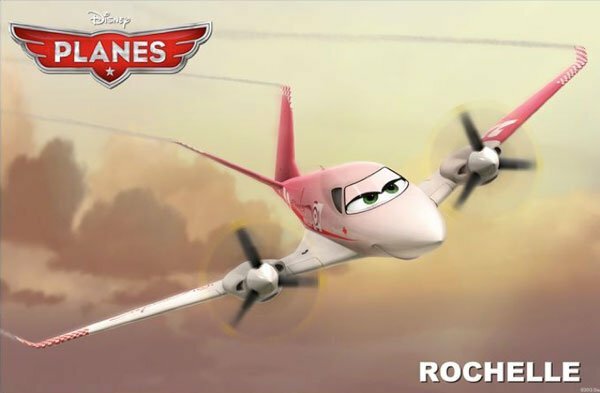 Lastly, there's Rochelle, a pretty in pink but totally ambitious flying machine out of Quebec. Julia Louis-Dreyfus lends her voice and plenty of sass to the part. 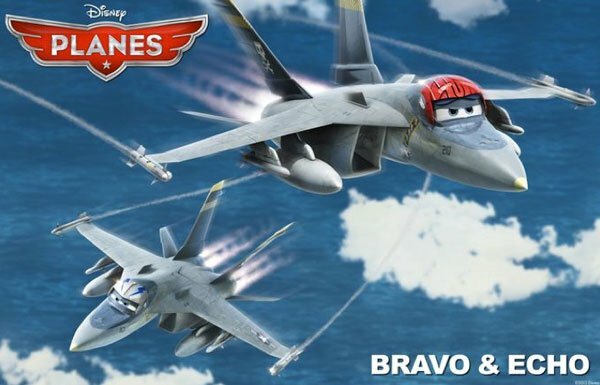 Disney's Planes will open on August 9th.